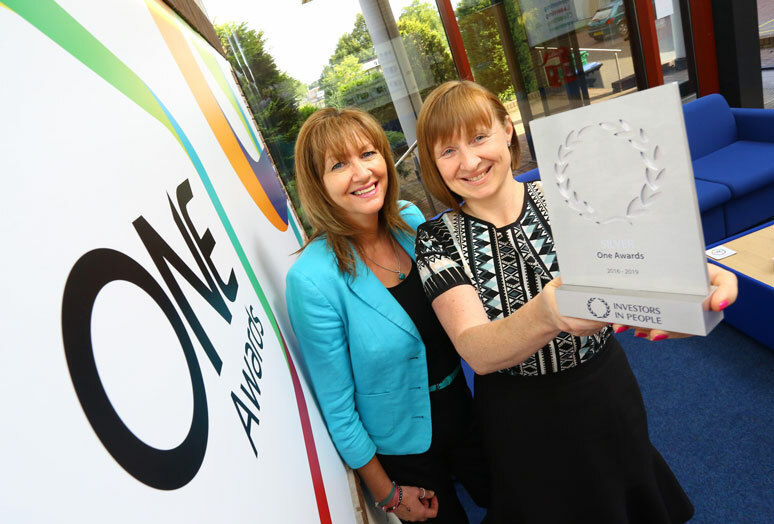 One Awards is one of only 350 organisations across the country so far to be accredited against the IIP Sixth Generation Framework which was launched in 2015. We are now part of an elite 11 percent of UK businesses overall to be awarded silver accreditation. Pictured left to right: Linden Cook, Deputy Chief Executive and Bridget Randall, PA to the Chief Executive Officer / HR Officer at One Awards.